To complete the history of the Daniel siblings, Uncle Bert who I vaguely recall was a parson, the complete opposite to his brother Charles. How he adopted the cloth as his future in life I have no idea, but this fact and the act that induced him into being the chief instigator of his mother’s entry into the Costley Home, which was the equivalent of the Poor House, and the stigma that went along with such degradation, upset my father so that he remained bitter in outlook in respect to this deed by his sister and brother. Herbert Daniel in his NZYMCA uniform – Jennifer Vann Collection. Herbert was born on 15 August 1882 in London, England. By 1909 he had completed four years’ probation to become a minister in the Methodist Church. From the beginning of 1910 he was posted to Edendale, Southland, then in 1912 Halcombe, Manawatu, from there to Whangarei in 1916, Taranaki 1924 and at some time later Matamata. On 16 March 1910 Herbert married Beatrice Ellen (Helen) Ayres at Island Bay in Wellington (Marriage Certificate Number 1910/8359). They had one daughter Clarice Bernice Ellen 1912 – 1996. By 1914 Herbert and his young family were living in Whangarei, where he was active in the community. He wrote two letters that we know of to the Editor of the Northern Advocate on e in 1914 and another in 1916 – both can be found in the Appendix. 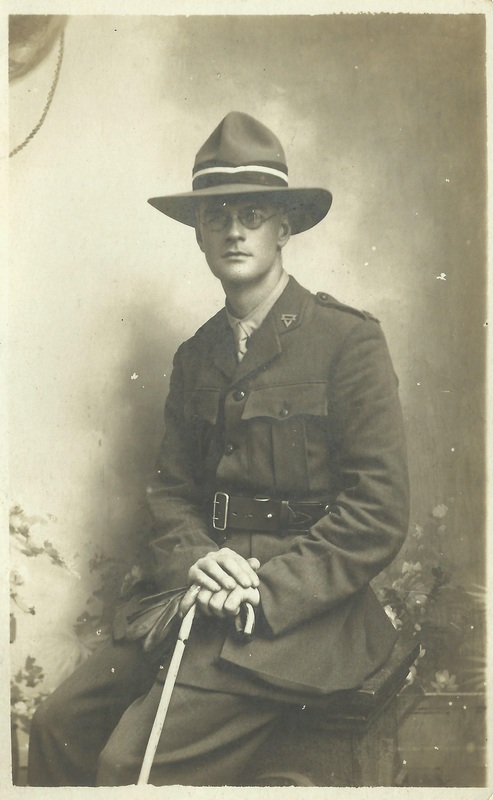 In 1918 Herbert joined the NZYMCA and was posted as a Chaplain with the NZEF (Service Number 52753) and served one year and two days at the conclusion of the war in England. Herbert kept up a relationship with the armed forces and had obtained the rank of Chaplain 4th Class NZ Chaplains Dept. On 21 February 1939 Herbert dies in Matamata, Waikato aged only 56 (Death Certificate Number 1939/24569). Beatrice dies some thirty years later in 1969 aged 83 (Death Certificate Number 1969/38392).